Safety norms of over travel in auto mode. 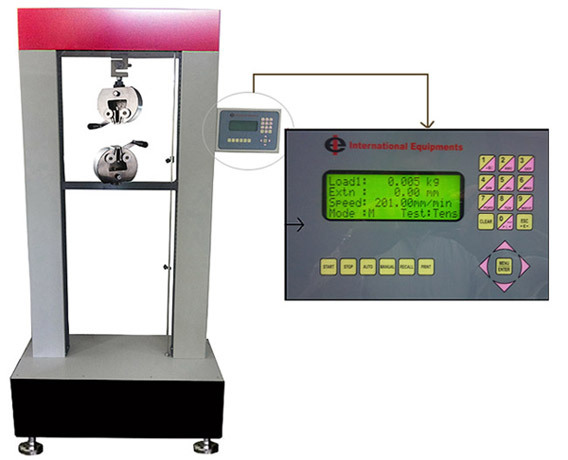 Computerized twin screw universal testing machine to determine properties Of tensile & elongation as per astm d 638 & compression as per astm d 695 with auto stop, auto reverse facility & direct display of result through 32 bit micro controller having 4 lines and 20 character display. this equipment is suitable to check properties of tensile, elongation, flexural (three point bending), compression tests on polymers, compounds, composite materials, fibre reinforced plastics (frp) and polymeric materials. 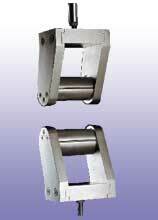 Load capacity: Various different capacities can be offered up to 5000 kg. No. 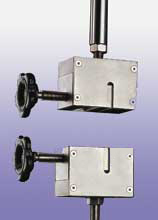 of load cell: Optional One or Two. 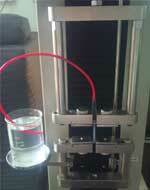 Speed: Variable between 0.5mm/minute to 800mm/minute depending on model. Power: 230 Volts, 50Hz, single phase. 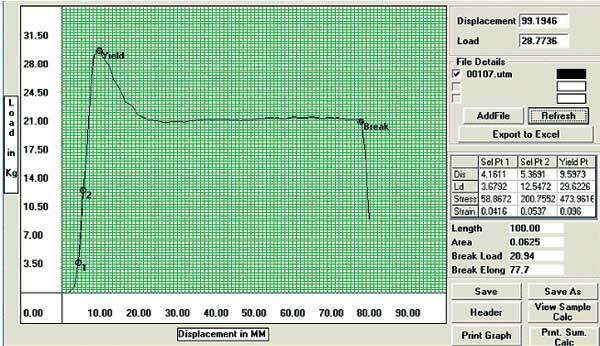 All results such as Peak load, Elongation at Peak load, Break load, Elongation at break load, % elongation at Peak, % elongation at Break, Tensile strength at Peak, Tensile strength at Break, Flexural stress, Compression Strength, Secant Modulus, Tangent Modulus & Flexural Modulus are directly displayed on Microcontroller as well as through PC software.